If you’re simply burning to play Anthem, you’ll have the chance to play a demo of it about a month ahead of release, on February 1st. That is, if you either have an EA Access subscription, or preorder the game. Also, in some good news, it seems that the game is going to have free story DLCs, while still having microtransactions for cosmetics. 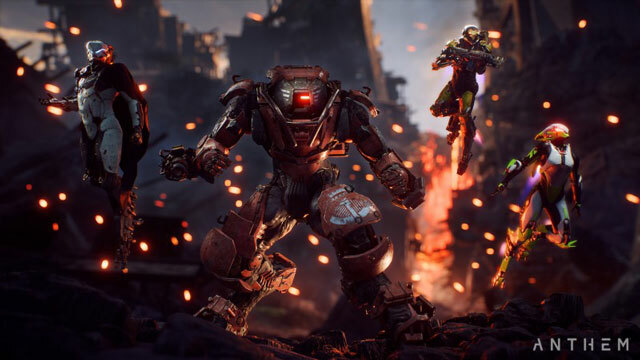 Anthem may be a long way away, but that doesn’t mean that people aren’t already getting psyched to play it. And, well, it seems that you’ll have the chance to give it a spin ahead of its release in late February. At PAX West 2018, the developers announced that they’ll be releasing a playable demo, which will start on February 1st. It will be available for those of you that either preorder the game, or have an EA Access subscription. Of course, there might still be some other tests or betas in the interim, but none have been announced as of now. February 1st is the earliest date that we know of when you’ll be able to get a taste of Anthem. Anthem is coming out of February 22nd next year. You’ll be able to pick it up on Xbox One, PC, and PlayStation 4. If you’re really super looking forward to it, or really want to play that demo, you can already preorder it on Amazon, or the game’s official website.